Free Speech For People envisions a democratic process in which all people have an equal voice and an equal vote. 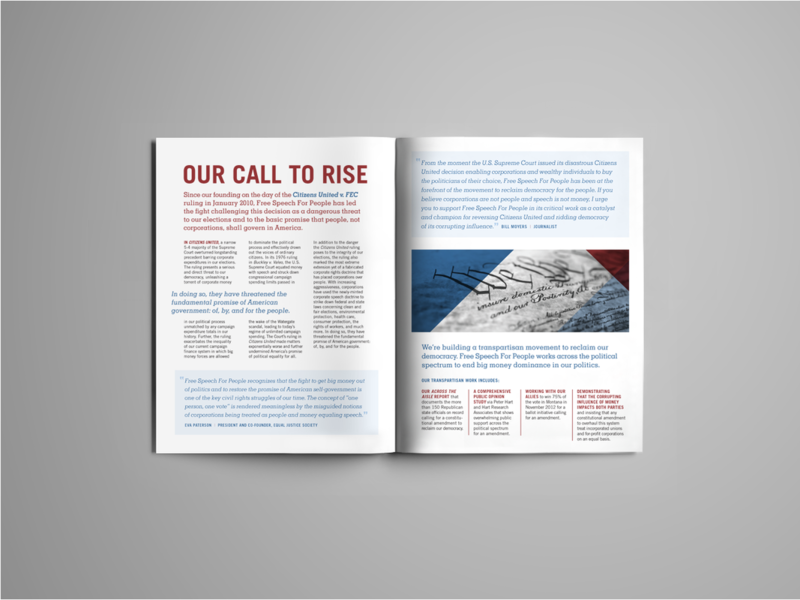 The organization is a leading force for defending our Constitution and reclaiming the basic promise of democracy and American self-government: of, by, and for the people. 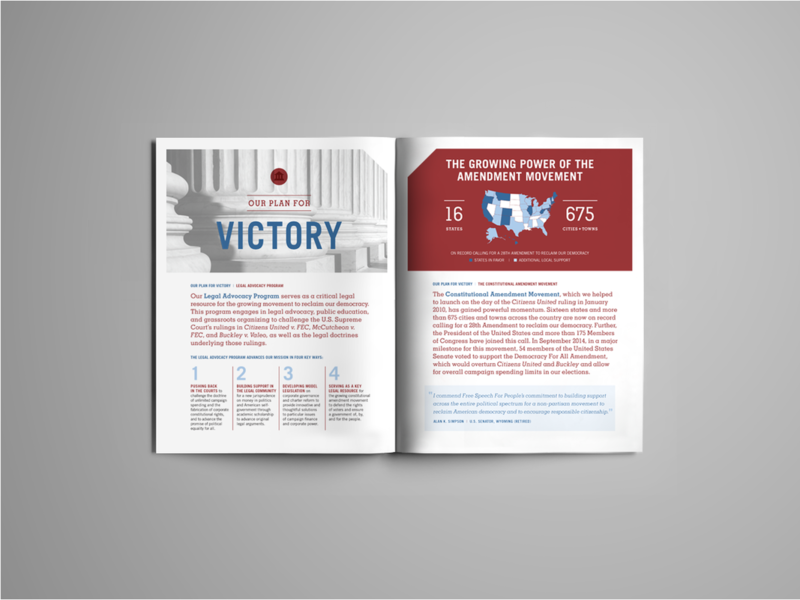 Cary Design Group developed a suite of communications tools to support their legal advocacy, corporate charter reform and anti-corruption efforts.